We offer a full range of property management services tailored to you as an investor, homeowner, or landlord. We have an extensive portfolio with over 1400 single family homes, townhouses, condos, and apartments in the Wrightsville Beach area. Sweyer Property Management will save you time and money while you enjoy the income and tax benefits of owning rental investment property. 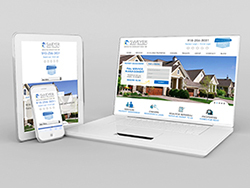 Sweyer Property Management advertises your property through a highly successful targeted marketing campaign that brings maximum exposure to your investment property. Out of the 1500+ properties we manage, we average 97% occupancy for our properties. We rent our homes faster than the competition and at the highest market rates. This ultimately amount to less vacancy and more income for you. The majority of rental property searches are done through a mobile device, so we are also able to reach an additional audience of prospective tenants through our Sweyer Rentals mobile app. We know that screening qualified tenants means peace of mind for you. Every applicant goes through a rigorous screening process. After the qualified applicant has been approved, Sweyer Property Management staff will prepare your property lease in accordance with state and federal laws and walk the tenant through the lease signing and property orientation process. 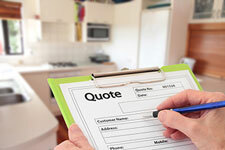 We work closely with local, professional contractors who offer priority scheduling at competitive rates. 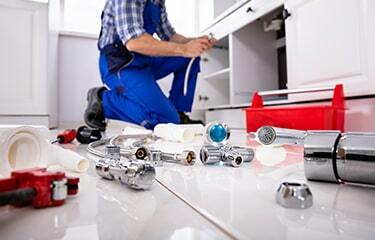 Due to the size of our company we are able to work with the best professionals in home maintenance and repair. Our contractors are familiar with the requirements of working with investment rental property. In addition to their expertise, we require contractors to make us aware of any potential issues or lease violations at our properties. We are on-call twenty four hours a day for maintenance emergencies. Our on-call staff understand property maintenance and are able to assist residents with emergency needs that may arise after hours. In the unfortunate circumstance of a broken lease, Sweyer Property Management will be there to ensure the resident is held responsible for their legal obligation and to minimize your exposure during the lease transition. Keeping up with today's legal changes can be a daunting and time consuming process. we are here to stay abreast of changing laws by attending local, state and national conferences, continuing education and active membership many industry organizations that affect legislative and legal issues involving residential rental property. As the laws change, we protect your interests by updating our forms and agreements accordingly. Rent collection is at the heart of the Sweyer Property Management system. Our service to tenants provides a variety of payment options through our secure payment processing center for collection of all fees. The system is quick and convenient and allows the tenant to pay via: web-based payments, automatic draft, credit card payments, check mail-in, or check drop off. A Security Deposit is collected from all tenants for your protection. Your deposits are held in an insured trust account in accordance with state regulations. All tenant's forfeits and damage claims are in conformance with North Carolina Security Deposit Laws. We track the monthly income and expense on your investment property. 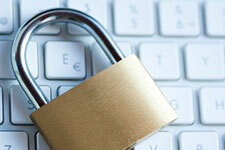 Your property statement is available for you to view on-line at any time through password protected on-line access. Your year-end statement is also available on-line. Tracking income and expense for year- end tax preparation has never been easier. You can download your report, analyze income and expenses and do your tax planning when it is convenient for you. Keeping a quality tenant creates value for you. We work hard to ensure tenant retention is the highest level possible for market conditions. The Sweyer Property Management team establishes strong monthly tenant retention goals and tracks performance as part of achieving those goals for you as owner. We hope that a good tenant will stay in your property for a long time. When the time comes for the tenant to vacate, Sweyer Property Management will carefully survey the property upon move-out, administer final rent and Security Deposit according to state regulations and prepare the property for market as quickly as possible to minimize your vacancy. We thoroughly document all of our inspections with digital pictures or video, which we make available to our owners. Eviction is never a desired process but state laws protect you as a landlord from non-paying and non-performing tenants. We provide a comprehensive process that reduces your risk as a landlord. However, if the need arises and eviction becomes necessary we will follow state laws to ensure a rapid resolution at minimum costs. Rental Property Evaluation A trained Property Manager will conduct an initial site evaluation of your property. We will work with you to make recommended improvements to increase marketability. We will communicate with your existing tenants (where applicable) and go over new procedures or issues. 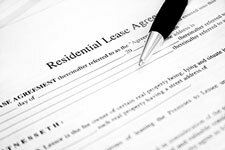 We do a thorough lease review with the prospect prior to the signing of the lease document. We have tenants attend a one hour lease review where they are made aware of all of the terms and conditions of the lease. We find this review is critical in avoiding issues with the tenant throughout the lease process. We evaluate any vacancies and assess action needed to rent the property. We will analyze the market to determine the property position in the area. We take control of all keys, test them on the locks, and implement our security coded process for each key. Is It Time To Consider Bringing A Professional Property Manager On Board To Manage Your Residential Investment Property? Sweyer Property Management welcomes the opportunity to serve as your operational partner in managing your residential investment property. Our professional staff and comprehensive services can give you the best return on your investment of both time and money - allowing you to enjoy life more. Give us a call for more details at 910.256.3031. Copyright © 2019 Sweyer Property Management. All Rights Reserved.